26th April 2017 - London/Monaco - In what promises to be an exceptional year for data center and cloud industries the 10th Annual Datacloud Awards shortlist has been announced by an industry wide panel of expert Judges. As the defining accolade for the industry, the Datacloud Awards provide recognition to genuine invention, service excellence, the continuing evolution of the sector and IT transformation underway. The winners will be announced at a gala dinner and ceremony taking place at the prestigious Le Sporting Club, in Monte Carlo on the evening of 6th June 2017 hosted by comedian and TV personality Ms Katherine Ryan. The Platinum Awards Sponsor is Vertiv. The Annual Data Centre Leadership Award and Cloud Leadership Award will also be presented on the evening. Proudly celebrating its 10th year the Datacloud Awards also takes place on the eve of the global networking and deal making forum Datacloud Europe. 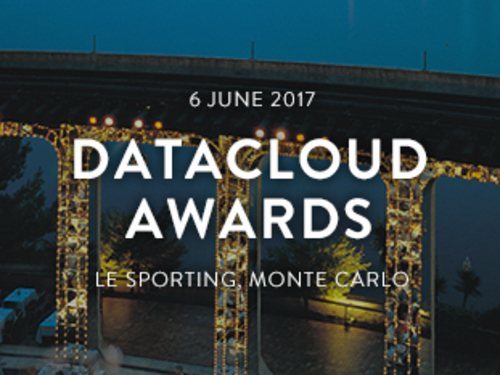 Attendance at the Awards evening is restricted to Datacloud Europe 2017 Gold Ticket holders only. Register here. Companies can benefit by attending the Awards dinner and ceremony, sponsoring one of the Awards, or with the recognition of being shortlisted, and the stellar networking opportunity of attending the event.